Scott Thomas (a.k.a DiZZY NiNJA) has been producing music since his childhood. He has dabbled in just about every genre out there, and loves helping others bring out their musical talents as well. He produces his own beats, writes his own lyrics, as well as records and mixes his own tracks. When did you start making music and what or who were your early passions and influences – producing or rapping? DiZZY NiNJA: I’ve been into music creation since I can remember. I can remember singing into the mics at restaurants when I was like 3 years old. At around 8 I got a Casio RapMan, and it was on then. I knew at an early age that music would be a big part of my life. I love the performance part but must say I long for the studio. I love to produce and create so it’s like being a kid in a candy shop. DiZZY NiNJA: Truthfully I’ve never been a fan of performing covers, and though it can be fun to jam out to your favorite songs with your friends, I never got satisfaction from performing someone else’s song publicly. My music has a unique sound and my secret is this: when I’m producing new music, I generally don’t listen to anyone else’s music. I feel that this keeps me from sounding like other artists out there. DiZZY NiNJA: As far as influences, it’s a long list but some of my biggest would be Bon Jovi, Guns n Roses, Vanilla Ice, Hammer, Warrant, Cinderella, Pantera, Avenged Sevenfold, NWA, Dre, Snoop, Chamillionair, Bone Thugs and the solo projects, 5 Finger Deathpunch, T.I. / T.I P., Excision, Dead Mou5, Chrispy, And the list goes on and on and on. DiZZY NiNJA: Well, I really hope my music inspires other artists to tap into their God given talents and share them with the world. I also try to show people that they gotta think for themselves and not let the powers that be control them by simply accepting and not questioning, as we should be. But the main point I would like people to take from my music: it isn’t hard at all, to be good person, in fact it seems to me like its more energy and time consuming to do each other wrong. DiZZY NiNJA: It’s varied over the years from song to song. But for rap I usually start with the instrumental. I’ll put it on repeat and just let it talk to me. Usually it will write the lyrics for me in my head. Once the words are clear, I’ll jump on the mic and lay it down. I also use a da-da-da system in which I use da da das to figure out rhyme patterns and syllable structures. It’s silly to hear out loud, I’m sure, but it helps me find some of the swiftly spoken patterns I use sometimes. DiZZY NiNJA: I’ve dabbled in every genre that exists, it seems. Music is music and I love creating ANY kind. I’ve been a dubstep dj, drummer, guitarist, rapper, and vocalist. Hell, I even started a music group using chopsticks and ashtrays, literally. I also now drum and rap on the side for a Christian Band called Fearless. I desire to evolve musically in any way I can. In any genre I can. 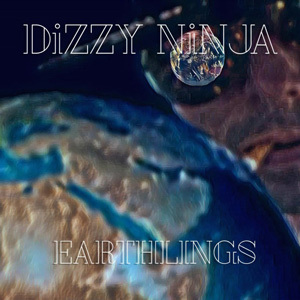 DiZZY NiNJA: Seeing my music being streamed all over the world. It was cool knowing it was being heard nationally, but seeing streams from China, Russia and many others really blew my mind. I mean, do they even know what I’m saying?!?! DiZZY NiNJA: Losing people. Unfortunately, to follow dreams, we sometimes have to cut people loose. But I have to live for me. 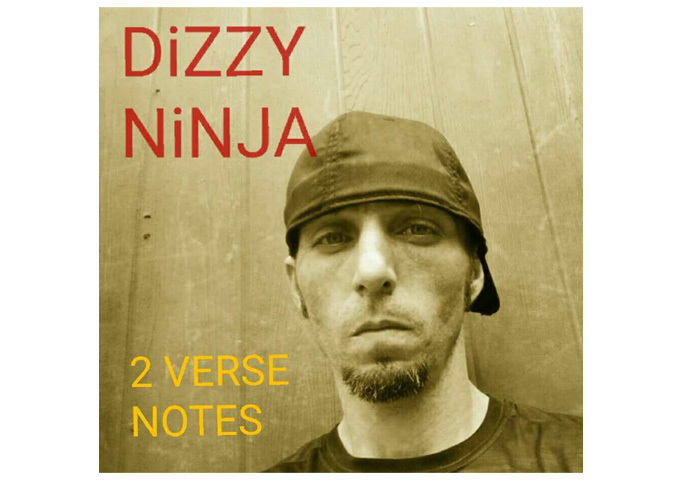 DiZZY NiNJA: It’s all about lyrics with me. I try to make sure my words have depth to them, regardless of the style or context. Regarding my instrumentals, I add depth there as well. Sure a hard beat and a fat bassline are great, but I like to build on the melodics of a song, usually blending multiple synth parts into my groove. What were some of the main challenges and goals when starting out as an artist/producer and how have they changed over time? What is it about making beats for others that makes it interesting for you? DiZZY NiNJA: I never had the money to invest in good equipment. This made it hard to get good quality recordings. I slowly gathered resources and now have a full studio atmosphere to develop and create in. Very few rappers have had the pleasure of rapping over my beats. I’m kinda stingy with them, but I’m actually thinking of offering them to other artists in the near future. What was your first set-up as a producer like? Has your set-up evolved since then, and what currently is the most important piece of gear for you? DiZZY NiNJA: My first recording setup was all software on an old rebuilt pc that should have been retired many years before. Now I get to play on midi DAW controllers, racks and other cool hardware pieces. We’re slowly building up our gear at RaKUGO Productions, my indie label newborn. It’s all important, because it’s all part of the whole setup. I can really experiment and create to my heart’s content. DiZZY NiNJA: I love when I get to hear a composition come together. Nothing compares to hearing a song and being like “wow, I made that.” This kinda work takes time, if ever, to pay off. It can be discouraging, factoring in the time and energy that it really takes to make good music. 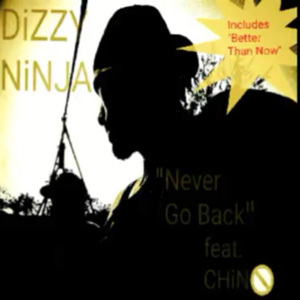 DiZZY NiNJA: The digital age has made it so easy for unheard talent to get heard. This, to me, is an incredible aspect. However, it has also made it easier for trash to make it to the market. So, it’s a catch 22, if you ask me. DiZZY NiNJA: Different, Witty, Deep. I really don’t know the answer to that. I’ve found it hard to classify myself. So it may take time before I can properly answer that. DiZZY NiNJA: Social Media has played a major part in my musical campaign. It has also made it easier for underprivileged artists to get their talents exposed, which to me is incredibly important. 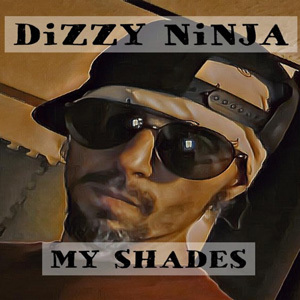 DiZZY NiNJA: My latest release drops on February 1st 2019. It’s a silly little track called Eargasm. You’ll be able to find it at https://DiZZYNiNJA.com or any other major streaming/download platform. DiZZY NiNJA: Performing is fun, but it’s the studio atmosphere that I crave, ultimately. However, I will still do live shows when promoting new music.